One of the most influential books ever published in Canada, Harold A. Innis's The Bias of Communication has played a major part in reshaping our understanding of history, communication, and media theory. First published in 1951, this masterful collection of essays explores the relationship between a society's communication media and that community's ability to maintain control over its development. Innis considers political and economic forces in the context of social change and the role of communication in the creation of both ancient and modern empires. In an essay for this new edition, Innis biographer Alexander John Watson examines the reasons why Innis, at the height of his success as an economic historian, embarked on new research areas of communications and empire, as well as the ways in which Marshall McLuhan's interpretations of Innis changed and de-politicized Innis's work. 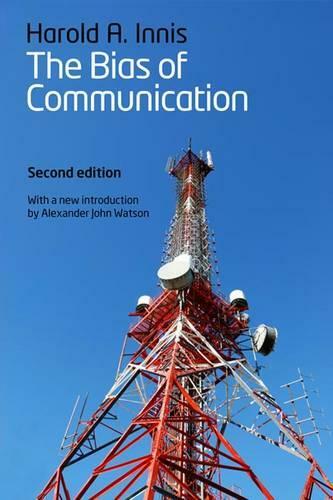 As important today as it was when first published, The Bias of Communication is essential reading for historians and scholars of communication and media studies.